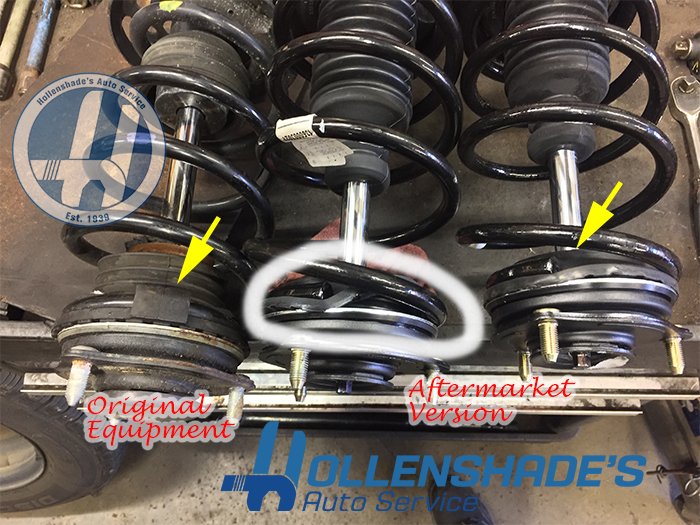 As steering and suspension components wear and age the alignment of a vehicle’s wheels and tires can become out of specifications. 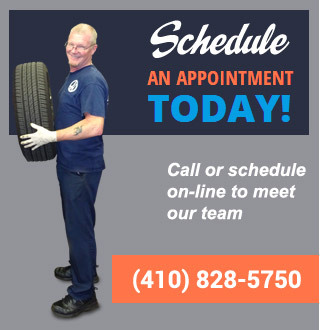 When the wheels and tire are not aligned the tires can wear unevenly and will need to be replaced prematurely. 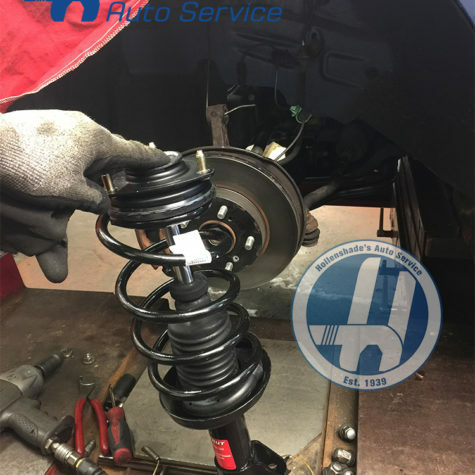 An alignment preserves the condition and performance of the tires for a longer period of time; thus, delivering maximum value to the owner and/or driver. A ‘pull‘ condition is generally defined as needing to apply force in either direction of the steering wheel in order to maintain straight travel; while driving on a straight and level road. A ‘lead‘ or ‘drift‘ is a mild pull that does not require the driver to apply force to counteract. Sometimes this condition is mistaken due to road crown effects. 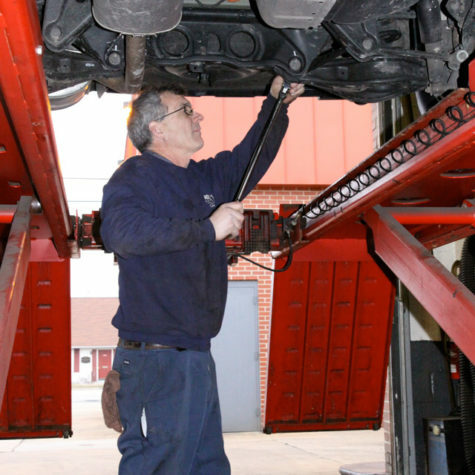 A ‘tramp‘ is a vertical up-and-down vibration that is usually caused by tires or wheels that are out-of-balance or defective. 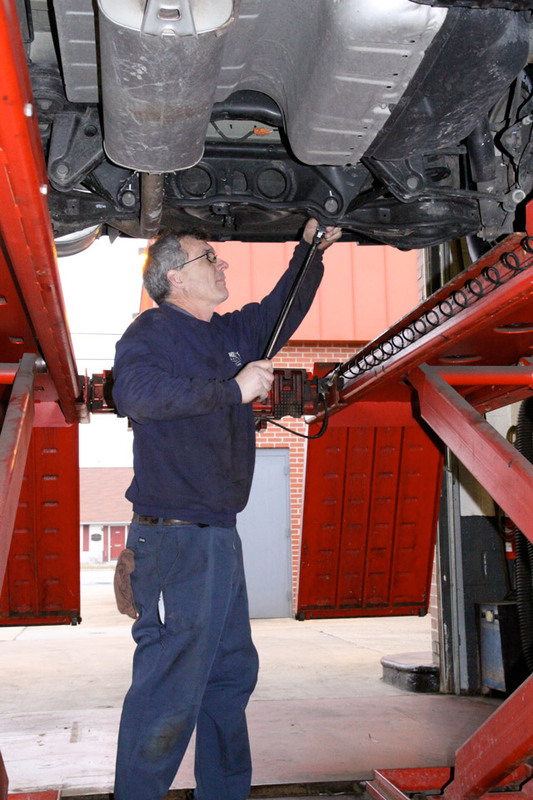 A ‘shimmy‘ is a back-and-forth vibration that can be caused by an alignment problem or tire issue. Stiff steering or a wheel that is slow to return to center can be an indication of low tire pressure or improper power steering function. 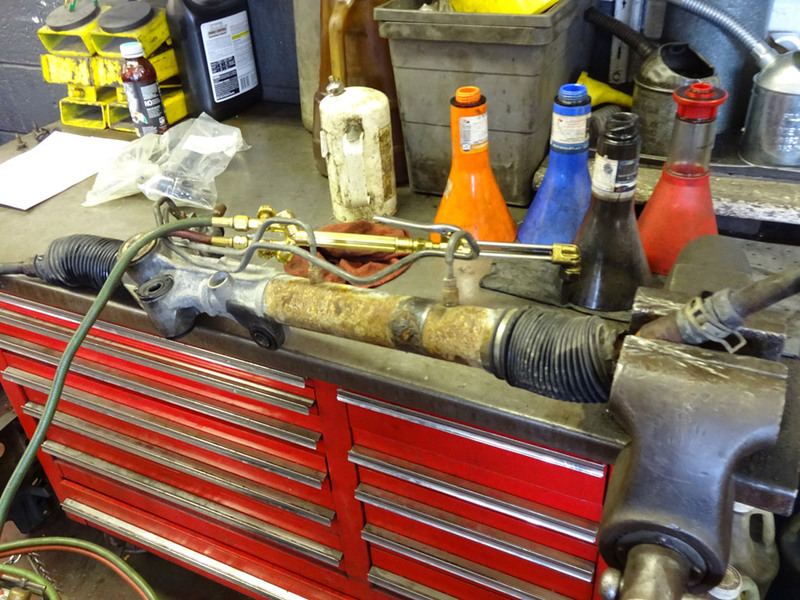 Binding steering and/or suspension linkage can also cause a stiff steering condition. Toe is the most important of the alignment angles. 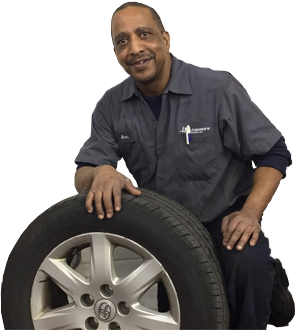 The purpose of the correct toe setting is to provide maximum stability with a minimum amount of tire wear when the vehicle is being driven. 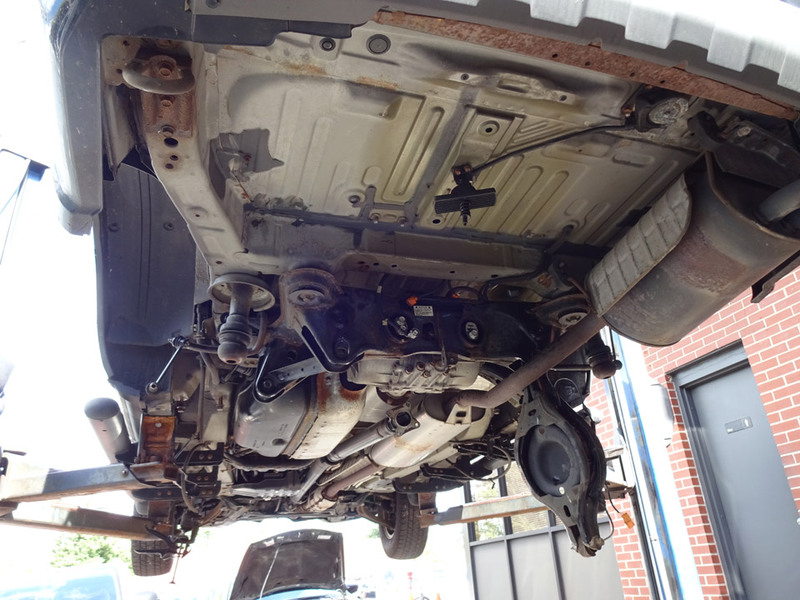 All vehicles have an adjusted for front toe. 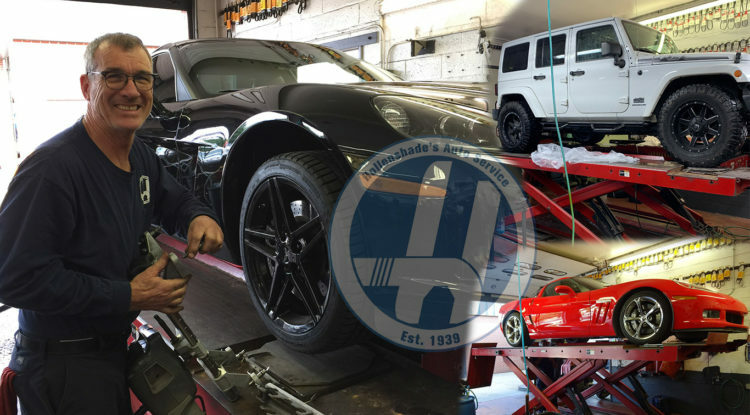 The toe adjustment is the difference in distance between the front and rear of the tires. It can also be described as a comparison of horizontal lines drawn through both wheels on the same axis. Excessive toe angle causes camber-type wear on one side of the tire. Camber is the inward tilt of the wheels relative to vertical as viewed from the front or rear of the vehicle. Excessive negative camber causes scuffing on the inside edge of the tire and can lead to premature wheel bearing wear. 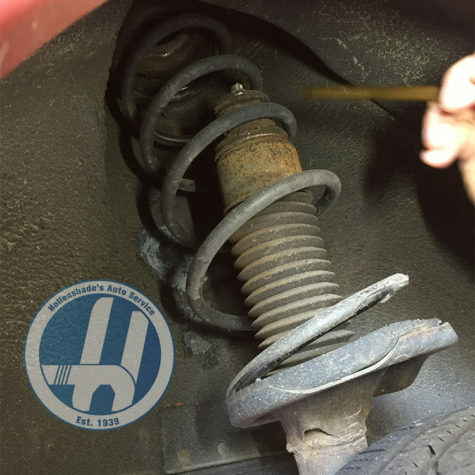 As the vehicle is loaded or when springs sag, camber usually decreases. 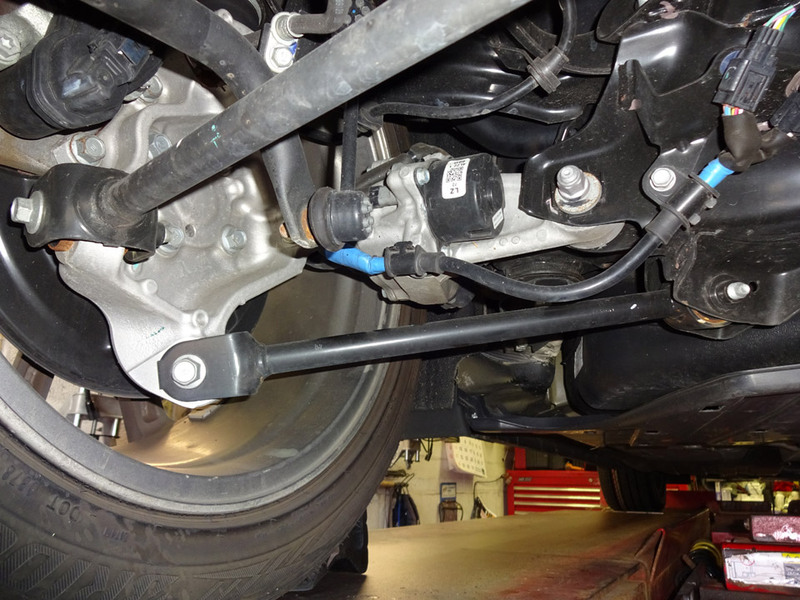 Adjustments to camber, where applicable, are performed by moving the upper or lower control arm(s) or strut assembly. Camber angles that are unequal from side-to-side may induce a pull condition. 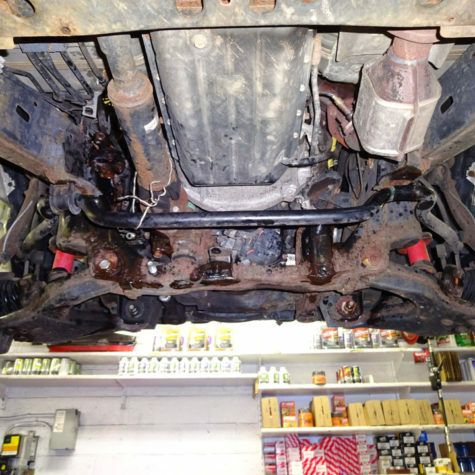 Caster is the forward or rearward tilt of the steering axis in reference to a vertical line as viewed from the side of the vehicle. Caster affects steering and/or directional stability. Caster is not a tire wear angle. 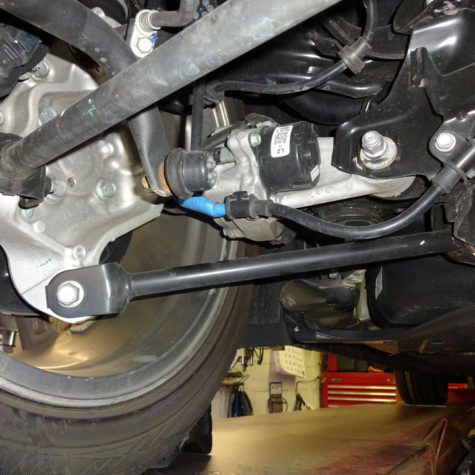 Vehicles that have any significant angle of caster designed into the steering and suspension geometry use a steering dampener to reduce steering wheel shimmy. 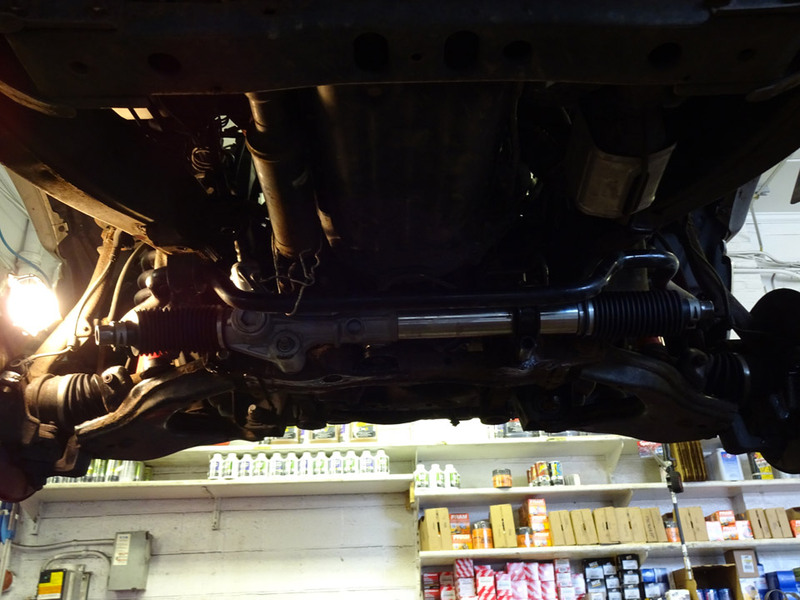 The steering angle sensor is a vital component of vehicle stability and control system. Also refereed to as a steering wheel position sensor, this component provides the computer with signals related to steering wheel speed and direction. 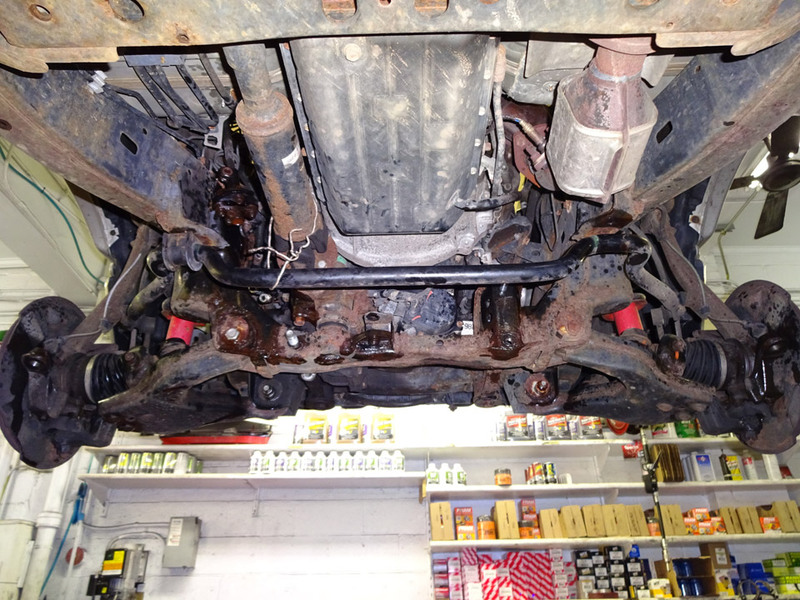 The steering angle sensor is located in the steering column. How do I know my brakes need service ? 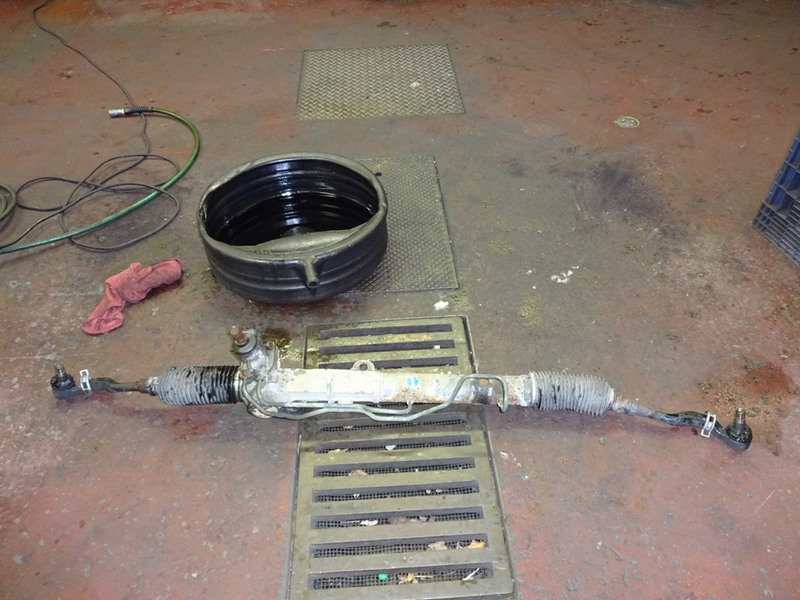 Excessive noise or a sense of reduced performance can indicate the need for a formal brake inspection. 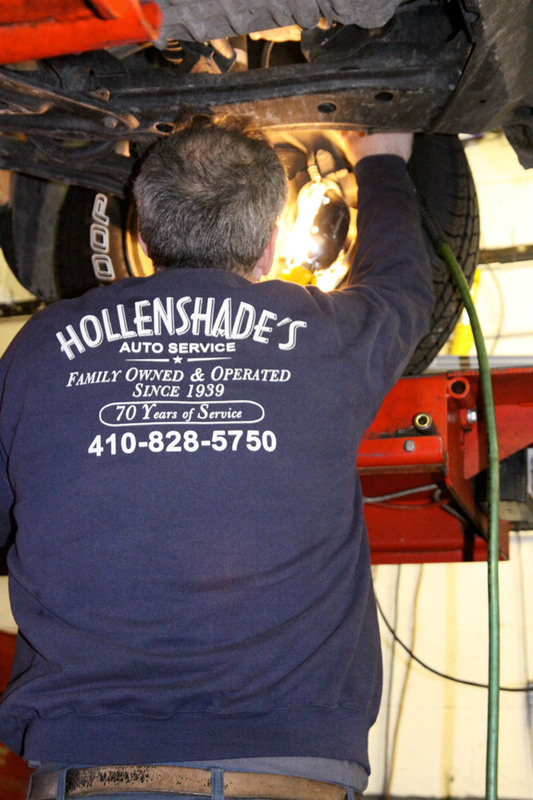 Drivers in the Towson area can schedule a service with a expert technician at Hollenshade’s. Why do I feel a vibration in my brakes ? 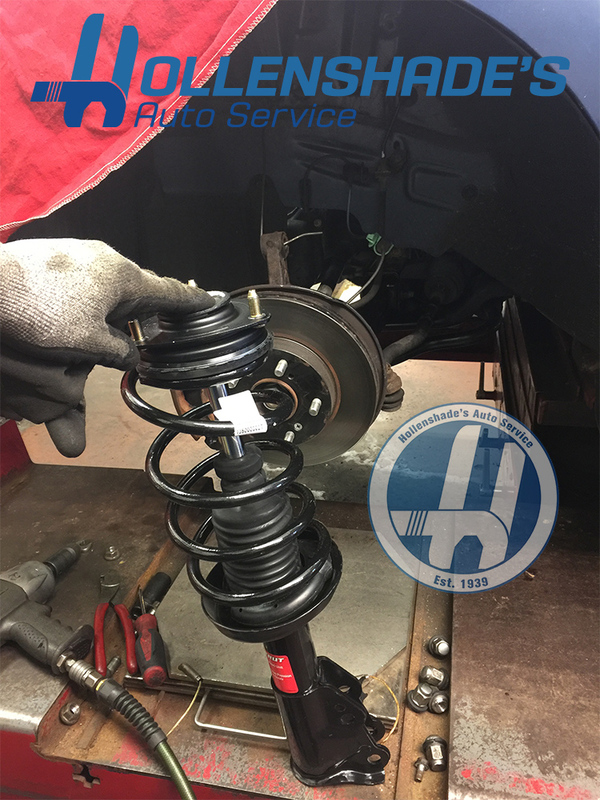 A vibration or pulsation in the brake pedal or steering wheel, especially at highway speeds, is a sign of brake rotor issues. 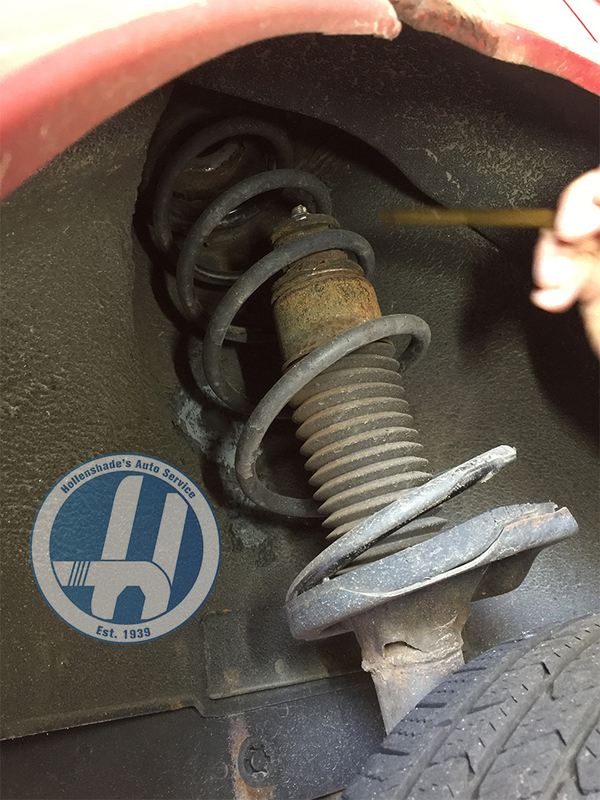 It is best to address this issue early as it will most likely get worse as the brakes continue to wear. 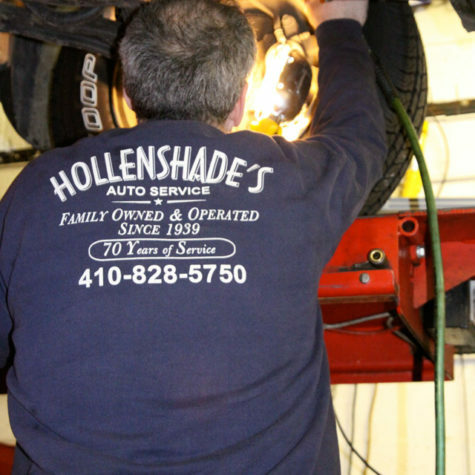 A service in Towson by the brake specialists at Hollenshade’s ensures proper brake feel and performance. What is the cost to Fix or Replace Brakes ? 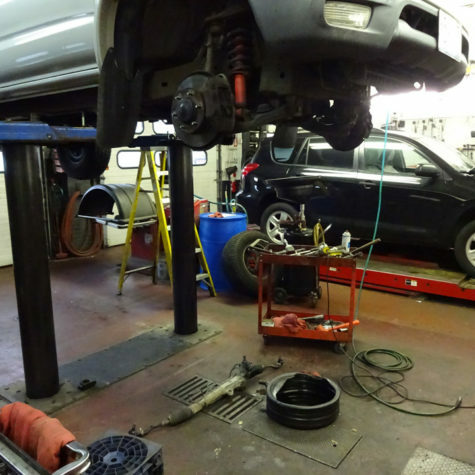 The price to repair a vehicles brake system can vary significantly depending on what components need to be replaced. 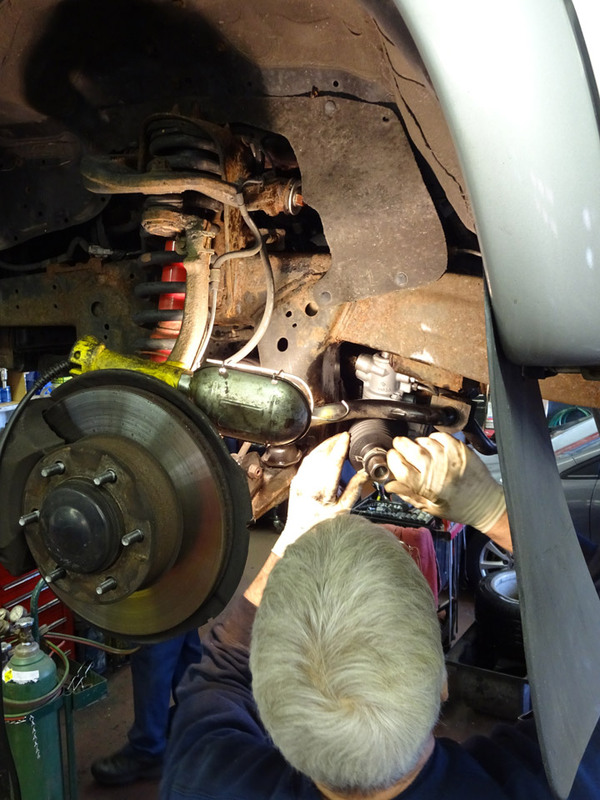 Repairs can become much more costly if the noise in the brake system is not addressed and grinding is experienced. 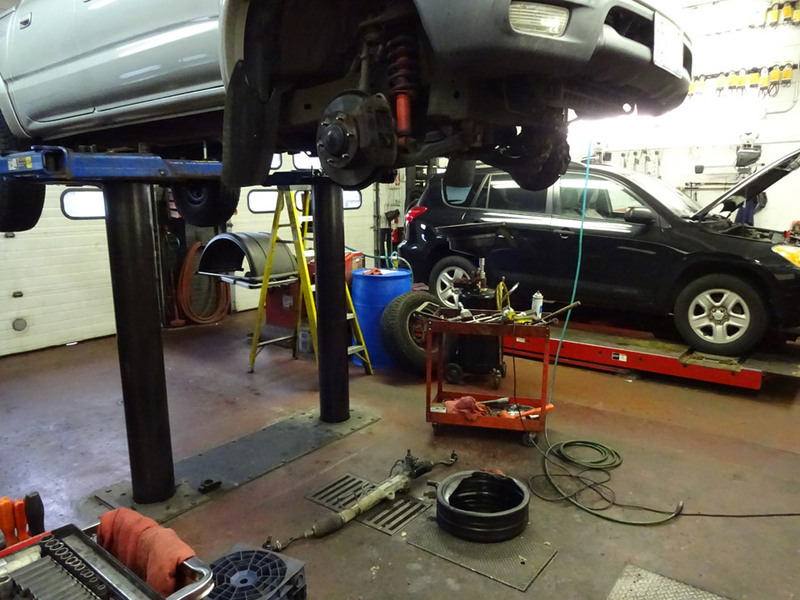 Contact Us for an estimate to repair your vehicle’s brakes.